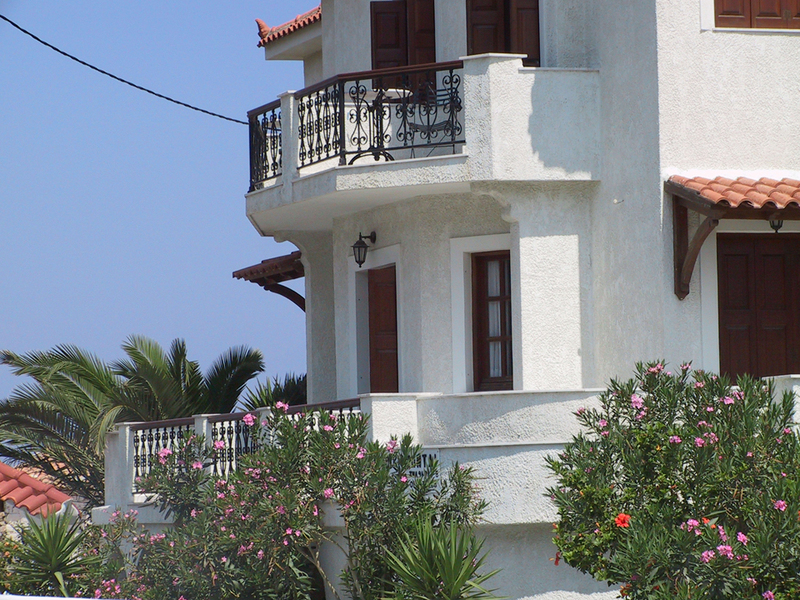 Rooms by the sea, on the north side of Samos – the most beautiful part of the island. 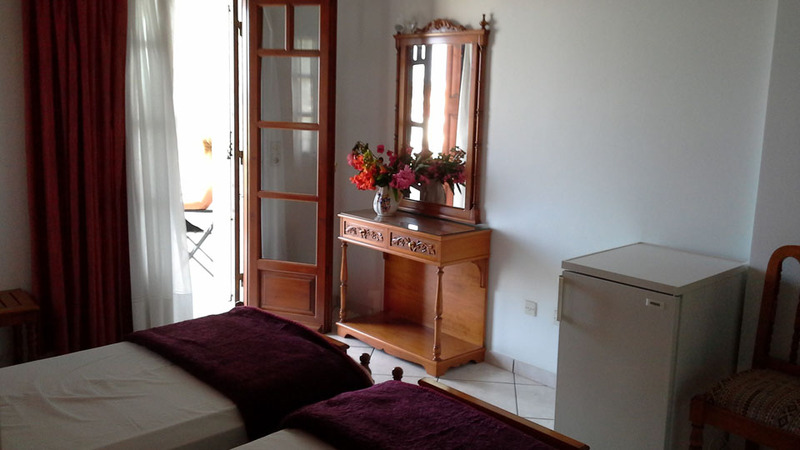 The hotel was completely refurbished in a warm and friendly atmosphere. Endless blue, green slopes, sandy beaches, picturesque villages and the vivid history of Samos (ancient, byzantine and contemporary) are waiting for you. 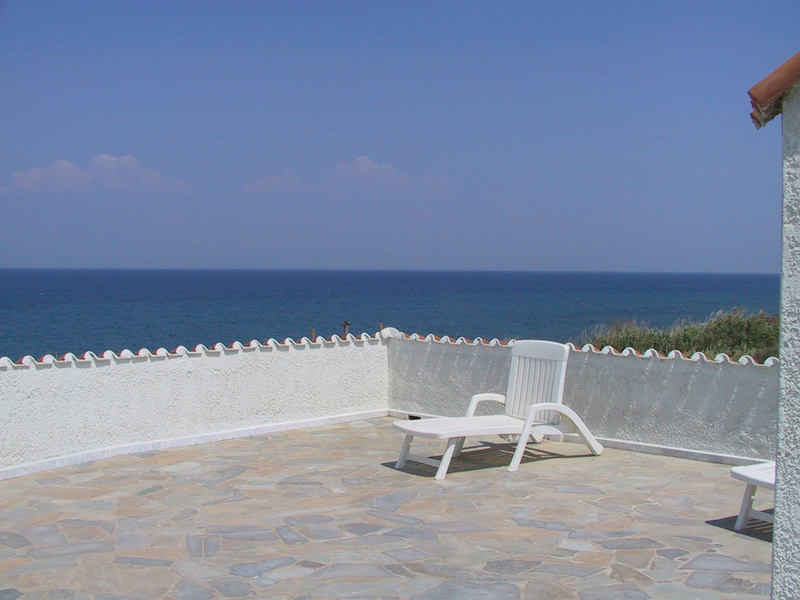 AGNANTI (in Greek, the feeling of siting on a balcony with an endless view) is na newly built hotel tastefully constructed. 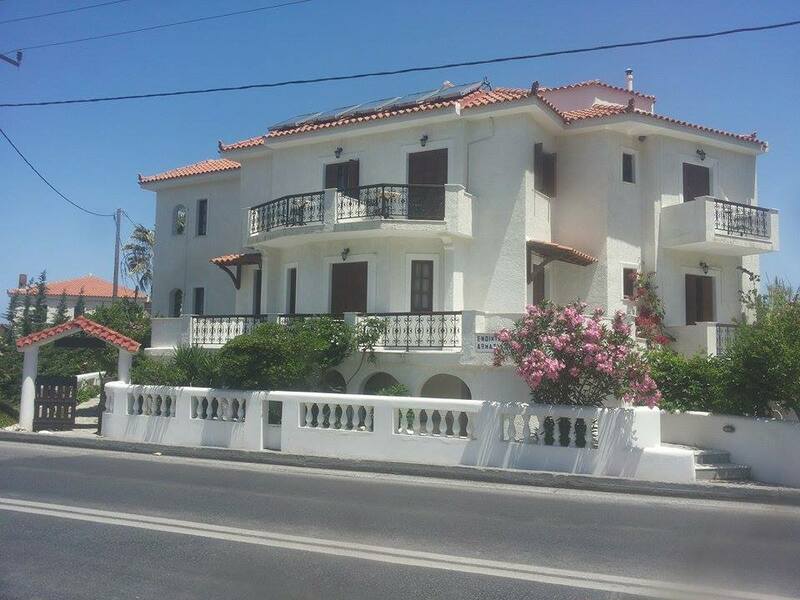 It disposes 16 rooms, with panoramic view, parking and snack bar. 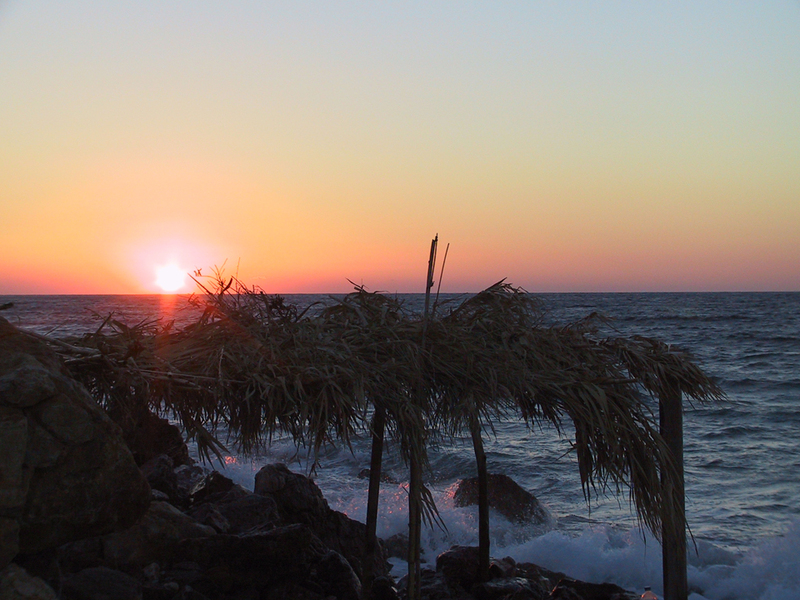 The hotel’s location AGNANTI provides guests with the opportunity to participate in numerous recreational activities , entertainment and diverse sports in green nature and the blue waters of Samos. All rooms are finished to the last detail. The main building has 2 floors. Our hotel rooms are 16, 8 per floor . 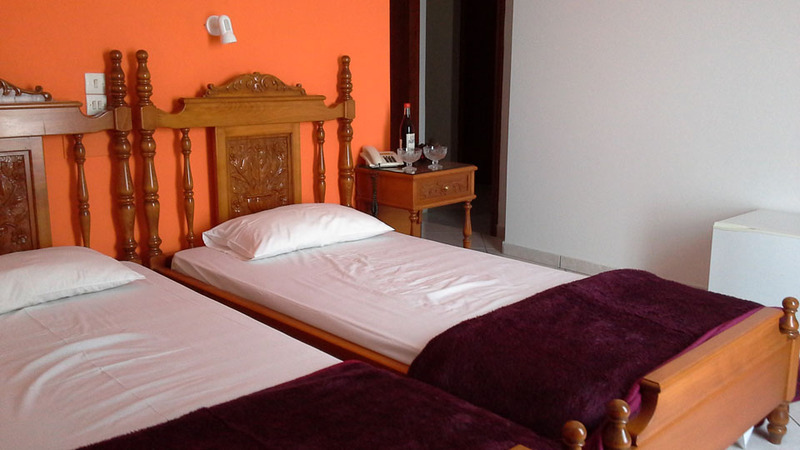 Each room has two beds, hand-made , with carved traditional figures, air conditioning , refrigerator, and the possibility to become triple by placing an additional comfortable bed . 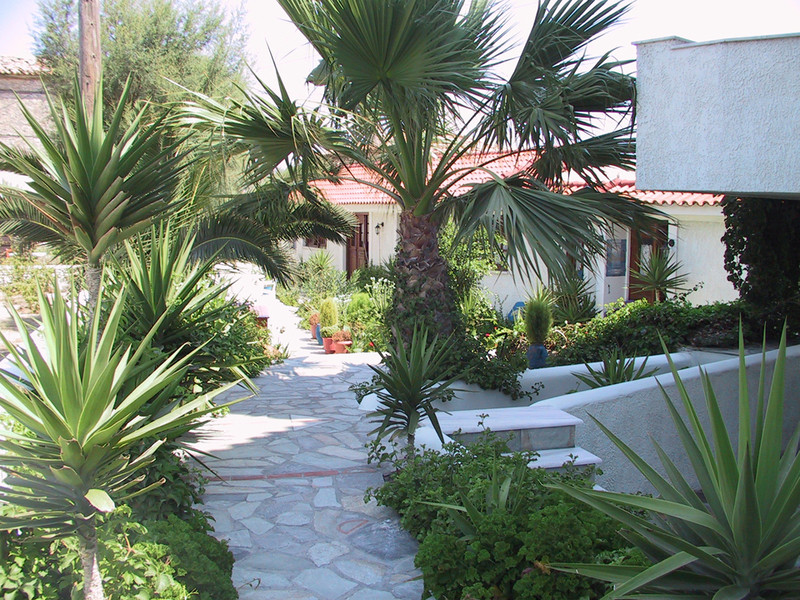 Surrounded by gardens, flowers, trees and pure blue sea. The persons of our hotel were given birth and grew perhaps in one of the most beautiful hamlets of Samos, [Manolates] but the obligations of their life led they live in Athens. Their culture however and their love so much for Samos as much as for the way of life, it led them to the creation the hotel on one side in order to live in Samos six months, as much as in order to they contribute in the effort to know and other persons the beauty of our island, the warmth the hospitality, the friendly environment. 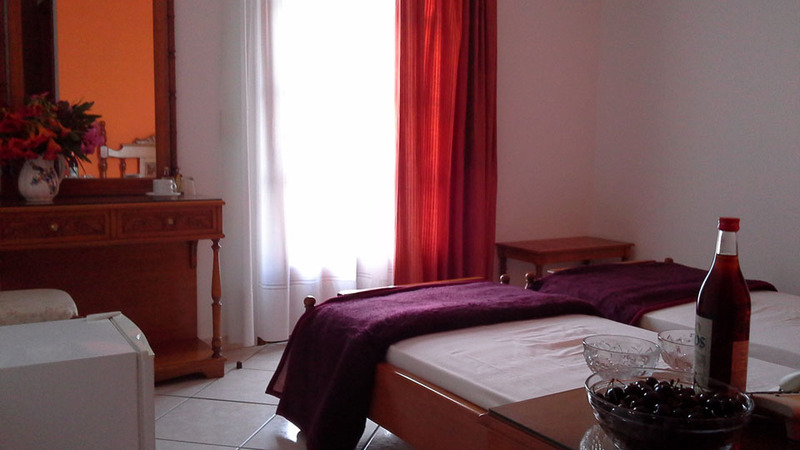 The hotel’s services will cover your needs for a pleasant and memorable stay. When relaxation is the most important need on holiday, the Agnanti Hotel offers you the ideal solution. 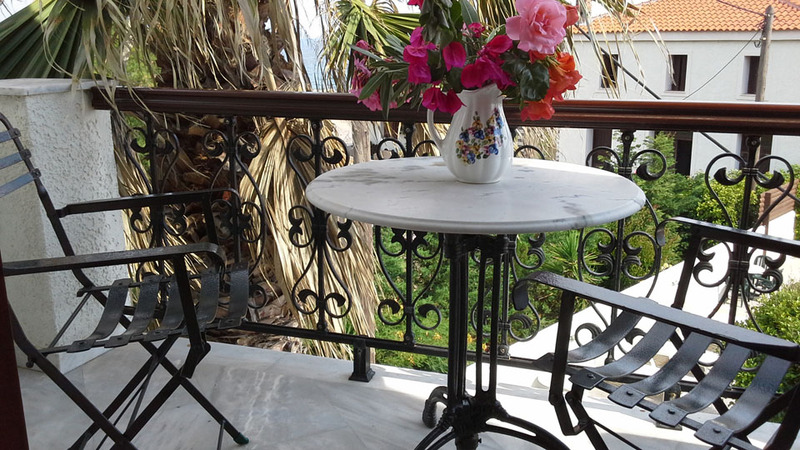 The center of this pleasant environment with radiation of color from flowers and plenty of sunshine, the services of our hotel will meet your needs for a pleasant and memorable stay. 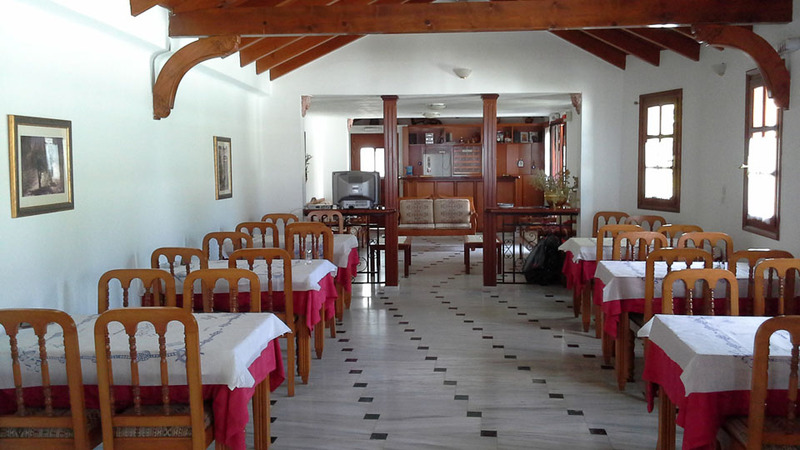 Breakfast is offered in a big living room located in a separate nice decorated building. 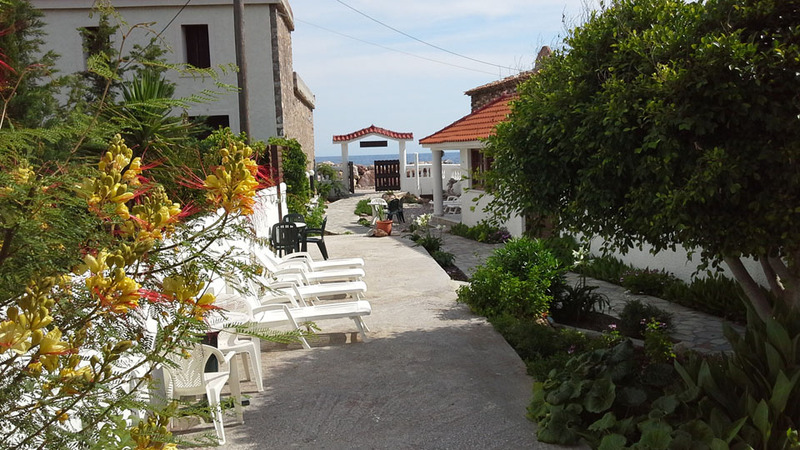 Visitors may enjoy their breakfast in our green garden that surrounds the hotel only a few meters away from the sea. The breakfast contains bread, ham, butter, marmalade or honey, coffee, milk, juices and many different and tasteful sweets. All these tastefull meals are prepared from the ladies of our hotel with ecological and topical products. It’s worth to taste them. ImageEvery night the breakfast room is converted to a nice place for drinking. 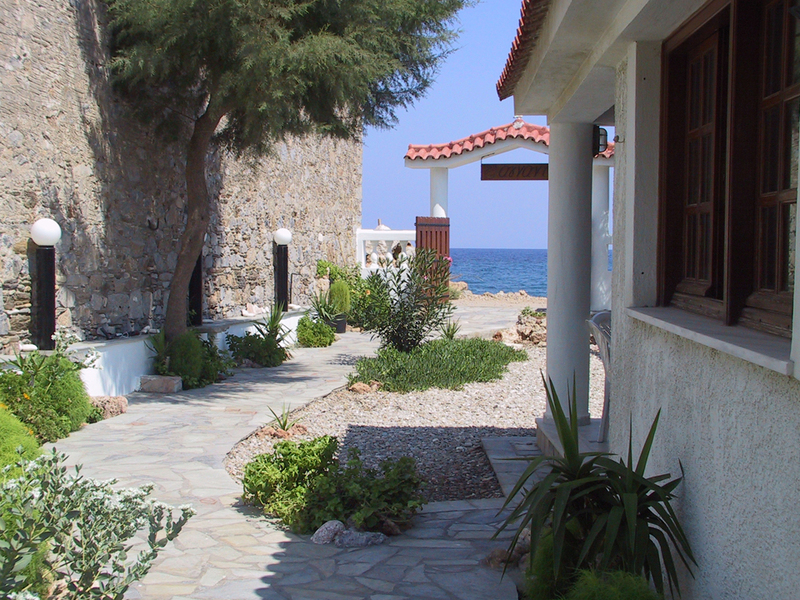 Our visitors will have the particularity to taste our topical drinks, special wines of Samos.